Dame Agatha Mary Clarissa Christie, born in Devon, England (1890 - 1976) was a British crime writer of 66 novels, 15 short story collections, and several plays. She remains one of the most translated authors (44 languages), the best selling novelist (over one billion novels sold), and Guinness World Record holder for third most widely-published books, behind only Shakespeare and the Bible. Less well known, Christie wrote the longest running play, The Mousetrap . More obscure still: Christie wrote six romance novels under the pen name, Mary Westmacott . During World War I, Christie served as a nurse before turning to writing, publishing her first novel, The Mysterious Affair at Styles in 1916 (1920 in the U.S.). 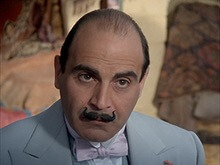 The book launched her literary career and introduced her best-known character, Hercule Poirot , a Belgian officer with a twirly mustache and egg-shaped head. Christie's first novel was also one of the first paperback books ever, published by Penguin in 1935, along with works by Ernest Hemingway and Dorothy Sayers . In 1923, Christie disappeared for eleven days after her first husband left her for another woman. Her mysterious disappearance created quite an uproar among her fans, some thought she staged the whole thing for dramatic effect. 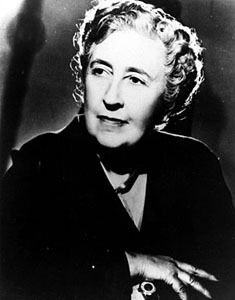 Her second marriage to Max Mallowan was much happier, during which she traveled to the Middle East, creating the setting for many of her books and stories. And Then There Were None remains the world's best-selling mystery novel ever (over 100 million copies sold). Christie's novels have sold a staggering two billion copies world-wide. The Queen bestowed her with the title of "Dame" (female equivalent of "Sir") in 1971. She gained numerous prestigious literary awards throughout her career. Many of her short stories and novels have been made into films, comics, plays and video games. Christie died in Wallingford, England in 1976. 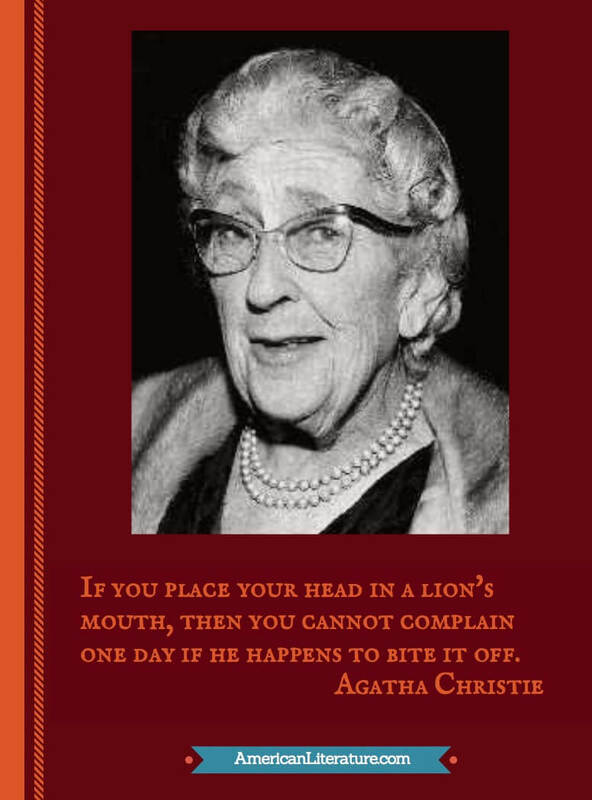 We feature her work in our collection of Detective Novels.